Can you feel it? 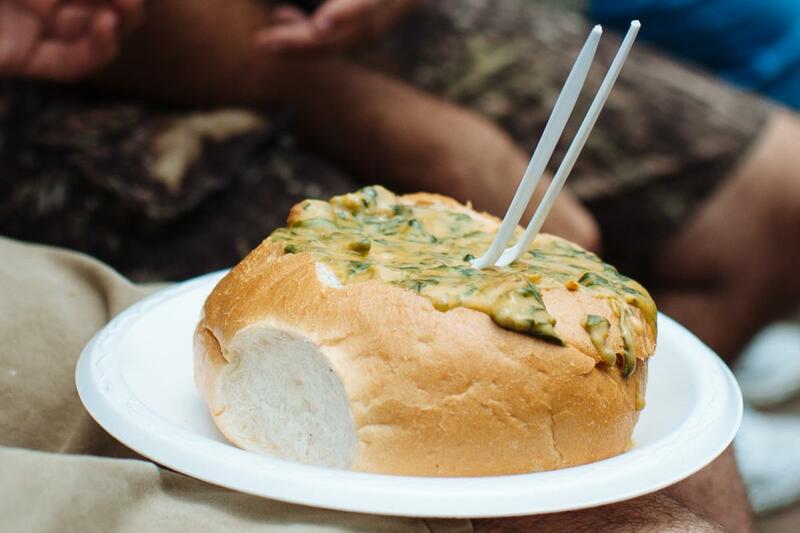 The chatter of “Happy Festival!” as people pass each other and the smell of Bon Creole’s crawfish bread bowl is floating in the humid spring air can mean only one thing. Festival International is here! If you’re a Lafayette local or if you come in every year you know Festival International isn’t just a festival, it’s a holiday-like celebration here in South Louisiana. The stirring of excitement is felt throughout the town with everyone getting ready for five days of non-stop fun and excitement. There’s so much to do it can be overwhelming for any newcomer so we’ve put together a field guide to help with your planning. Can’t find a babysitter? No worries! Festival International is great for kids too. There’s a great area for them to enjoy the festival with other kids their age. 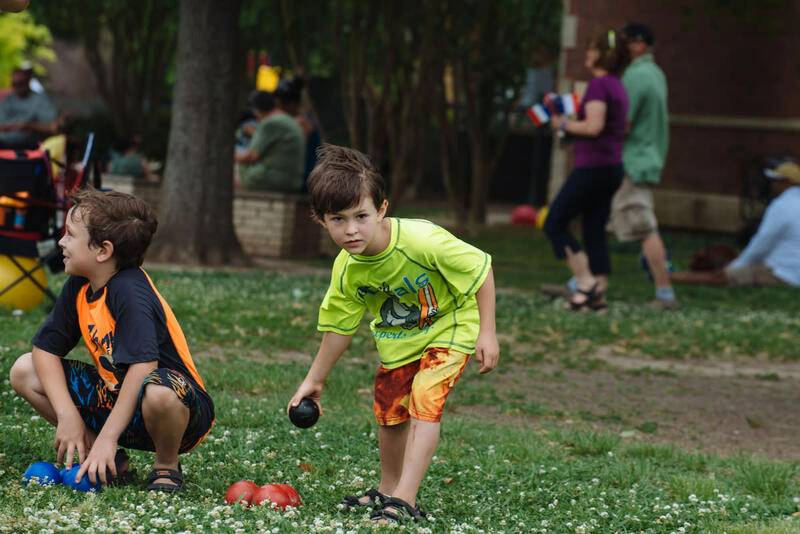 Visit the Chevron Scene des Jeunes stage on the Cathedral Carmel School Campus for music, face painting, food and drink, restrooms, and physical activities to let the kiddos get their energy out. Another great area to bring the little ones is by the courthouse. They’ll love the ‘half heads’ that line the courthouse and it’s a great shady area to enjoy music and outdoor fun. As you make your festival schedule think about eye-spy ideas for your kids like the ‘half-heads’ at the courthouse mentioned above, various murals throughout Downtown buildings, or even historic buildings. You can also buy a disposable camera for your little one to document their festival experience for their scrap book. We suggest shopping for your festival outfits ahead of time. 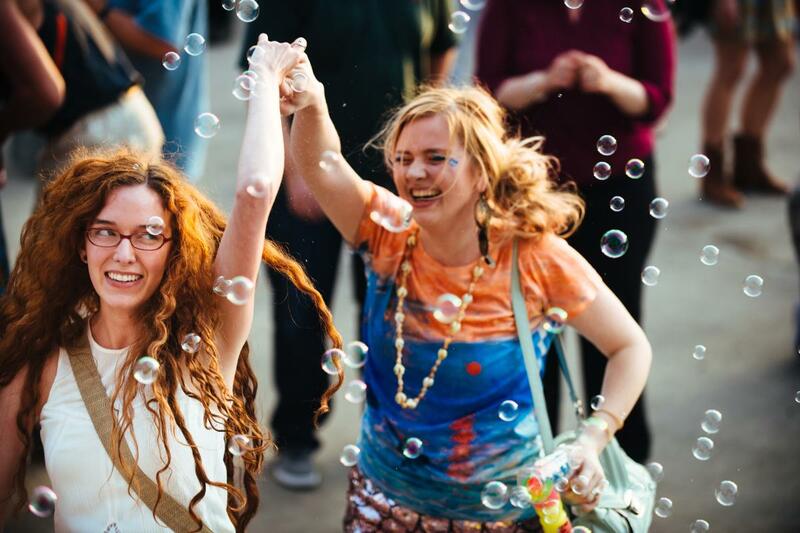 Local clothing shops will start carrying the best and coolest (we’re talking temperature, it is South Louisiana) festival wear leading up to festival. Not into planning ahead? No worries. There are plenty of clothing vendors throughout the festival grounds to buy your outfit for the next day or for a mid-day wardrobe change. Comfort is key when it comes to footwear. Be sure to choose your comfiest shoes because you’ll be doing a lot of walking and dancing all weekend long. If you want some authentic festival wear, make sure to check out the official Festival International merchandise tent as they always have really comfortable shirts and some other accessories to add to your look. We also recommend bringing a hat and sunglasses to help with the heat. And seriously, we aren’t kidding on wearing comfortable shoes. For this festival, comfort is greater than fashion. It’s always a good idea to pack a bag with these essentials like sunscreen, hand sanitizer, mosquito repellent, wet wipes, change of clothes, hand fan or misting fan if you’re fancy, bandana to wipe your brow, and if you’re feeling over prepared a small first aid kit. If you plan on staying at a stage for an act or two it may be a good idea to bring a chair that’s easy to carry around. Please just be considerate of other festival goers and set up your chair in a space that doesn’t block foot traffic or keep others from enjoying the performances. Make a schedule. Festival International has made it very easy to create your own schedule on their website. It also links up to their mobile app (search “Festival International de Louisiane” in your app store) so it can send reminders about when and where you’re supposed to be. Prefer the old tactile pocket guide? The Independent publishes the full festival line-up including the food vendors so you can create your own hand held schedule. Not sure what bands you should see? Check out Festival International’s official playlist on Spotify to preview the bands. The music isn’t the only thing that’s international at this festival. The food available for purchase is like a mini tour of the world. If you’re craving Cajun favorites there’s plenty to go around, but there are also other international cuisines to sample like Greek, French, Asian, Indian and much more. Don’t be afraid to try something new. One of the great things about Festival International is getting to experience the different flavors from all over the world right in our backyard. Bring an eating partner! You’ll get to sample twice as much food making it easier to try new things. Like the music, we also recommend planning ahead. You can check out the list of all the food vendors for this year’s festival which makes it easier than walking around trying to decide what to eat. Bon appétit! Yes, beverages deserve their own section! 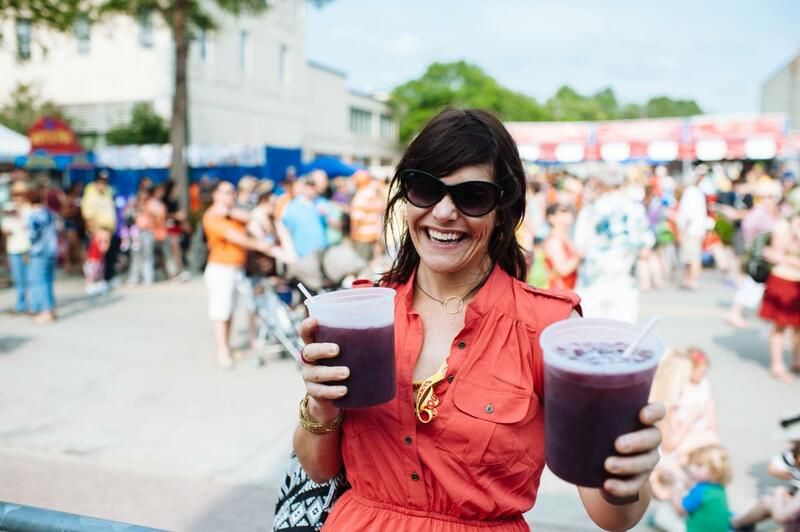 If you’re into brews or mixed drinks, Festival International has the drink to help you pass a good time! Stop by the LA Craft Biergarten during festival to try local brews, and listen to live music. If you’re looking for something refreshing and not too heavy when it’s hot try the Festival Punch, which can be found at any of the mixed drink stations. This classic rum punch is served ice cold in an awesome souvenir cup, perfect for a hot festival day. If you need to keep the kids cool there are plenty of soft drink stations as well as everyone’s favorite lemonade stand near the food booths. Try a different local beer each day at LA Craft Biergarten. This is an awesome opportunity to find a new go-to brew! Also, don’t bring your own beer or ice chest to festival. 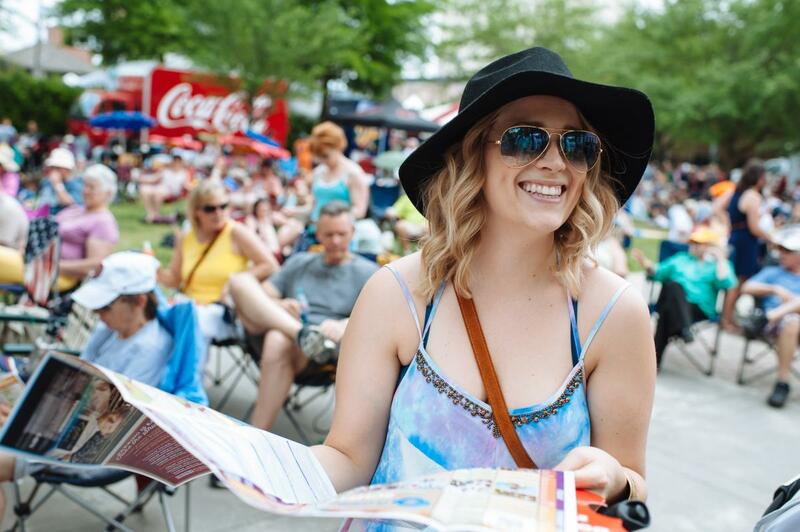 One of the ways Festival International is funded is through the beer and alcohol sales. So put up the ice chest and stop by an ATM on the way and do your part to help support the festival. Shopping at Festival International is not an average day at the mall, or any store for that matter. The booths that line Vermilion Street and surround Parc Sans Souci are full of art, clothing, jewelry, and different items from around the world. The Marché des Arts is the perfect place to gift shop for birthdays, Mother and Father’s Day gifts, and even Christmas if you plan that far ahead. While you’re shopping be on the lookout for the Festival Merchandise tent and Festival Pin stations where you can buy official merchandise and a commemorative pin to help support the festival. Go early. Shopping at festival can be an all day affair, the early morning is always a bit cooler and the crowd is calm. 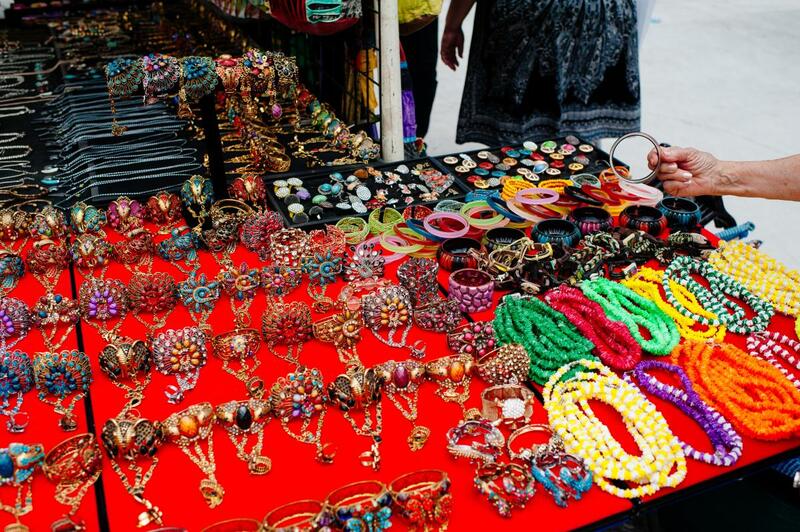 You can enjoy a nice leisurely stroll through the shops to find the best festival souvenirs. Heard music you like at one of the stages? Be sure to stop by the Festival Music tent to purchase their CD and support the musical artist. Keep an eye out for street performers! 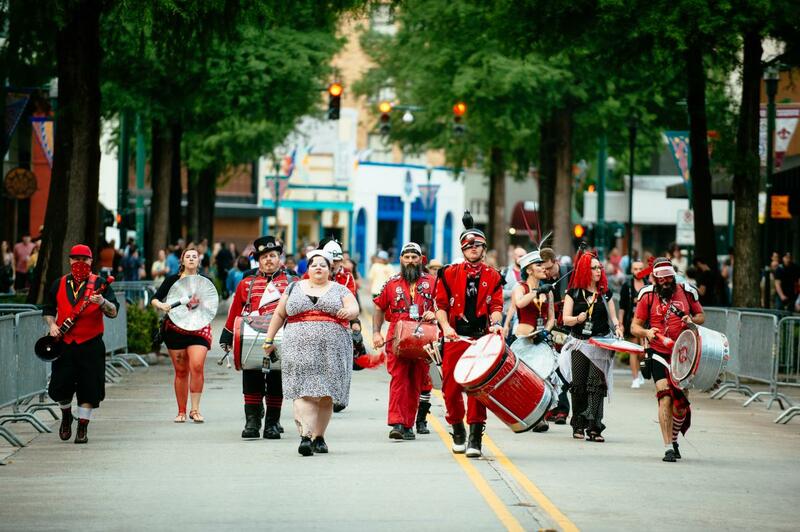 These visual, performing, and musical acts are scattered all around Downtown Lafayette during Festival International. Performances range from a singer songwriter performing on a corner to elaborate stilt walkers, larger than life puppets, and even marching bands. Also, keep your eyes peeled for “Tattooed Walls” and add it to your schedule. This is long standing tradition where International and local artists team up with local musicians and DJ’s to create temporary works of art. These exhibits will be held at the JD Bank Pavillon de Cuisine, April 28, 8pm - 9pm and at the Acadiana Center for the Arts Art House, April 29, 12:30pm - 4pm. Make plans to check out the Rhythm & Roots series at the Blue Monn Saloon after Festival International. The Blue Moon brings together both local and international acts to individually play full sets as well as coming together at the end of the night to collaborate on stage together. Just be sure to buy your passes ahead of time as this series tends to sell out quickly.